The time when your Facebook newsfeed isn't clogged up by FarmVille request from friends may be cmoing soon. Social gaming powerhouse Zynga launched its own dedicated website today, the first step in eventually hosting its vastly popular games somewhere other than the world's largest social networking site. In an interview with Gamasutra, COO John Schappert says players of the company's titles "want a place where they can find dedicated social games, where the feed is just about gaming." Zynga.com's a beta of the company's Zynga Platform, a destination where their many titles will live, along with those by third-party developers. The move looks to make Zynga less dependent on Facebook for its user base, as well as helping them enter the publishing space. 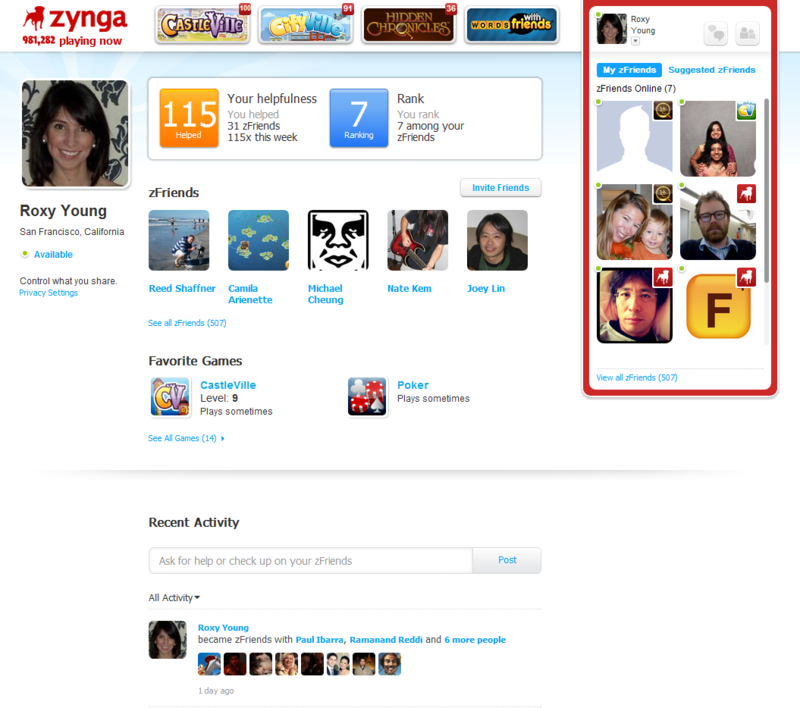 The Zynga Platform should launch in full later this month. Anyway to get rid of Zynga poker from your facebook posts - I've tried everything, from posting rude words on the wall to unsubscribing. to no avail. Alex - delete your facebook account, problem solved. Not an issue. Many of us only have a Facebook because our peers have no way else of contacting us. Despite their constant attempts to 'socialise' the experience we simply use it as a private forum.